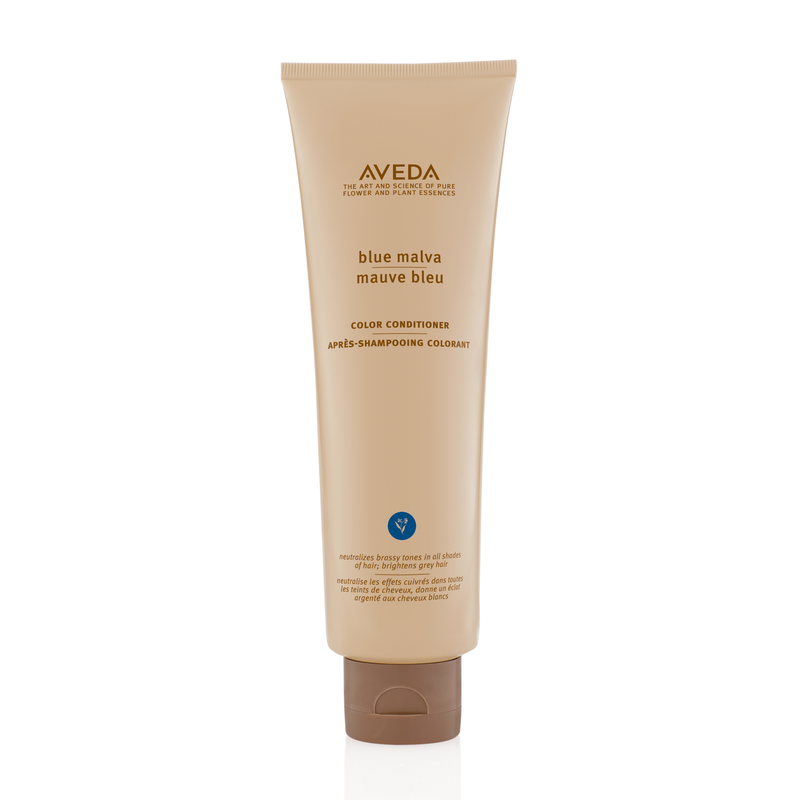 Aveda Blue Malva Colour Conditioner adds silvery brightness to your grey hair and neutralises brassy tones in all shades. It deeply conditions your hair, leaving it lightweight and manageable. Aveda Blue Malva Colour Conditioner is formulated with blue malva and coneflower to effectively add moisture and brightness to your hair. Coneflower is known for its abilities to soothe and comfort your irritated skin and scalp. Apply the conditioner to your hair that has been shampooed with Blue Malva Colour Shampoo. Leave on for 2-5 minutes.